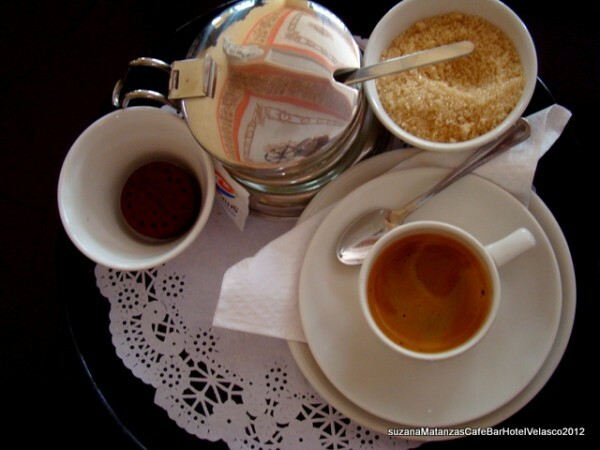 Coffee is among the most important and valuable commodities traded around the world, and what luck that Cuba has a delicious supply home grown! Lucky too that the US trade embargo makes it difficult to export and it remains on the island to be enjoyed almost exclusively by Cubans and tourists visiting the island! But finding a great cup of coffee anywhere is never easy even with coffee plantations on the door step. 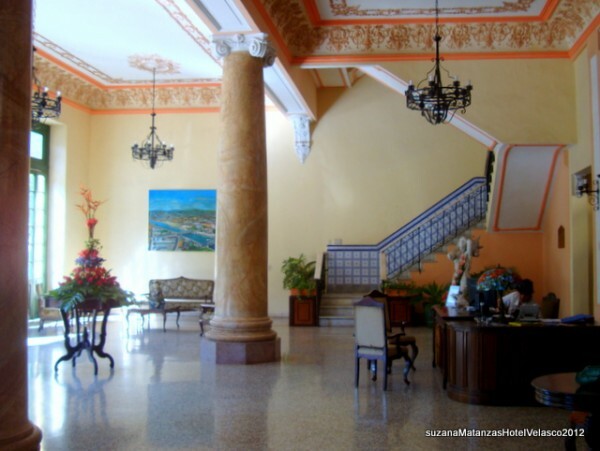 Should you find yourself in Matanzas during your tour of Cuba, head directly to the historical centre and you will be delighted to find the beautiful colonial Hotel Velasco fronting one side of the plaza. 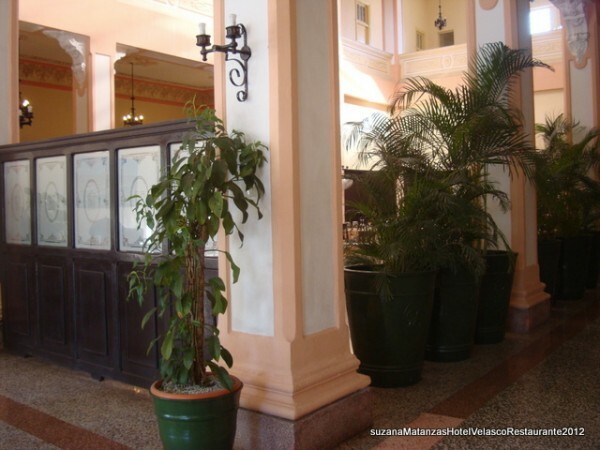 The original grand entrance is framed by huge solid Cuban marble pillars and many features of its historic grandeur remain or have been restored. The effect is delightful! 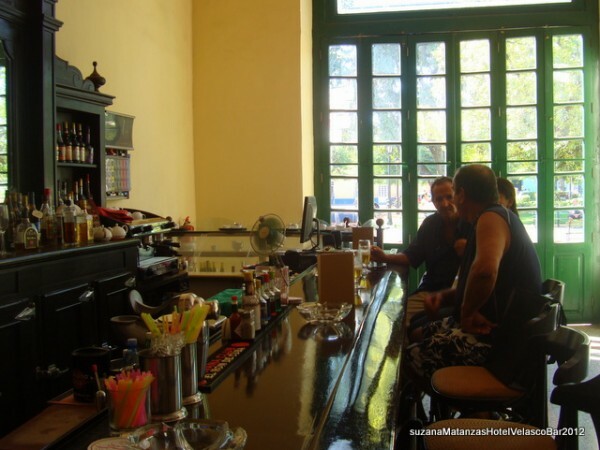 The beautiful wooden bar is light and airy and here alongside the ample cocktail menu, you can enjoy the best coffee in Matanzas from an authentic Italian espresso machine! Their coffee is not home roasted direct from a plantation, but its good quality Cuban coffee from the Sierra Maestra branded “Serrano”. Presentation is all a part of the experience! While you are sipping at the bar, you might be planning your tour of the city which is well known for its 17 bridges crossing the three rivers Rio Yumuri, San Juan, and Canimar. If you are staying in the city for the day there are a number of museums you might like to visit on your walking tour or there are various day trips, including trips to the lovely beaches of Varadero further up the coast. 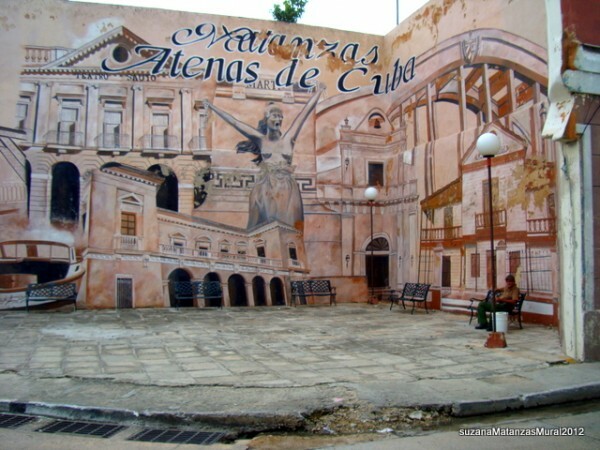 Matanzas is known as “la Atenas de Cuba” (the Athens of Cuba) due to its fame for poetry and poets! The city was founded in 17th century by royal decree and settled by 30 families from the Canary Islands. It was an important city in the production and exportation of sugar! This industry was labour intensive and the original indigenous peoples who had been enslaved soon died from disease and poor working and living conditions that were imposed on them by the Spanish. The settlers needed to expand their work force which they did with importation of thousands and thousands of African slaves who eventually dominated the population of this area. African traditions remain predominant in the musical history of this city to this day and a type of Rumba is typical of Matanza! The name Matanzas means “massacre” and refers to an incident in which Spanish soldiers clad in heavy armour, were mounting an attack on a local community. This required them to cross one of the rivers and they commandeered some local fishermen and their boats! Half way across the river the fishermen retaliated and capsized the boats. The Spanish in their heavy armour had no chance to survive and all drowned! See our current Cuban tours by clicking on the links below.